A man tried fleeing from police yesterday after a court appearance. 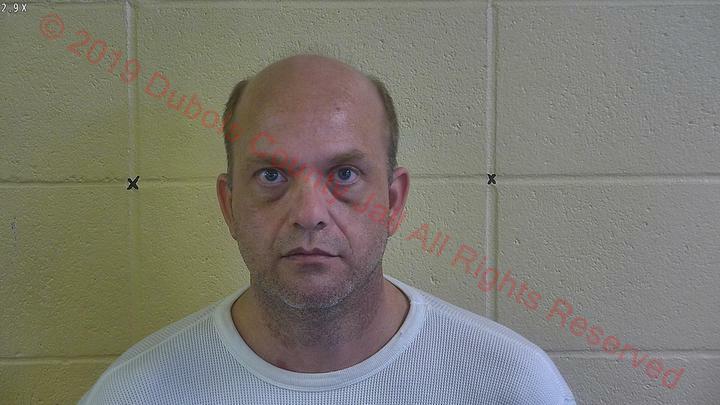 At around 11:40 AM today Dubois County Security Center inmate Nick Kreilein, who had been incarcerated at the Security Center since March 6th was appearing at court for previous charges. When finished with his appearance at court, a Transportation Officer was escorting two inmates out of the courthouse. While exiting the building, Inmate Kreilien took off from the officer. The transportation officer commanded for Kreilien to stop, but Kreilien proceeded to kick off his shoes and fled West towards Newton Streets. While the officer secured the other inmates in a transportation vehicle, he called for backup on dispatch. Deputies responded and Kreilein was apprehended on the corner of 5th and Clay. The Dubois County Sheriff’s Office is sending up a probable cause affidavit for the following charges: Escape, a level 5 felony, resisting law enforcement, a class A misdemeanor, and theft, a class A misdemeanor. Be the first to comment on "Inmate Flees After Court Appearance"